Offering outcome based treatments, to reduce pain and increase range of movement, thereby improving quality of life. Focused, outcome based treatments, aiming to reduce your level of pain and increase your range of movement. 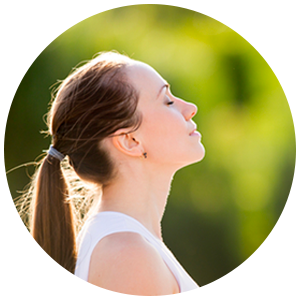 Tailored treatments for patients suffering from stress and anxiousness issues such as PTSD and Acute & Chronic Stress. Switch off and relax with a variety of unique treatments, allowing your mind and body time to rest and rejuvenate. I see myself as a facilitator in helping you to reduce your pain. I have a great deal of experience in treating people with ‘frozen shoulder’, head & TMJ pain, unexplained knee pain, stress and RSI’s Even if a patient has a 1 hour treatment every week, there are still another 167 hours in that week! If the pain issue is there because of poor posture at work, from driving, due to having to cope with a stressful situation at home, it is important that the patient is given the tools to manage it.